Have you thought about incorporating Google Analytics setup into your website’s design? What is Google Analytics anyways? Why is it so important? If you are a business owner who frequently uses SEO techniques to attract visitors to your company’s website, then you will instantly understand how important this information can be. In terms of strategic planning and analysis, it is truly invaluable. Regularly reviewing this info, as well as other information provided by other Google tools, you will be put in a prime position to gain a competitive edge over rival companies. Additionally, you will also be able to leverage current online trends to your advantage. How Can the Info You Gather From Google Analytics Setup Be Used? This info can be used to create a business strategy that will capitalize on the types of visitors your website is attracting. It also allows you to examine areas that have room for improvement. If your business’s website is also using a PPC campaign, then the information gathered by Google Analytics setup can also be leveraged to your advantage. You can figure out which of your website’s pages have the highest conversion rates. Additionally, you will be able to figure out what visitors are looking for on your company’s website and provide them with it. 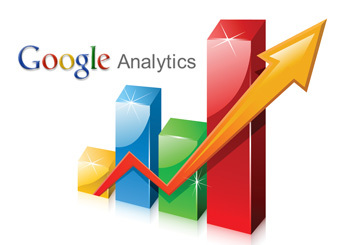 There are numerous methods in which Google Analytics setup can be used to your advantage. If you need assistance interpreting the data or determining how to use it to your advantage, contact Webati today. From conception to implementation, we will help you devise a marketing strategy that will maximize your website’s business potential. We can also provide ongoing assistance with maintenance. Give us a call or drop us an email today. We look forward to working with you in the future!